In the absence of Daughters of the Earth Gathering this year (2018 yes! 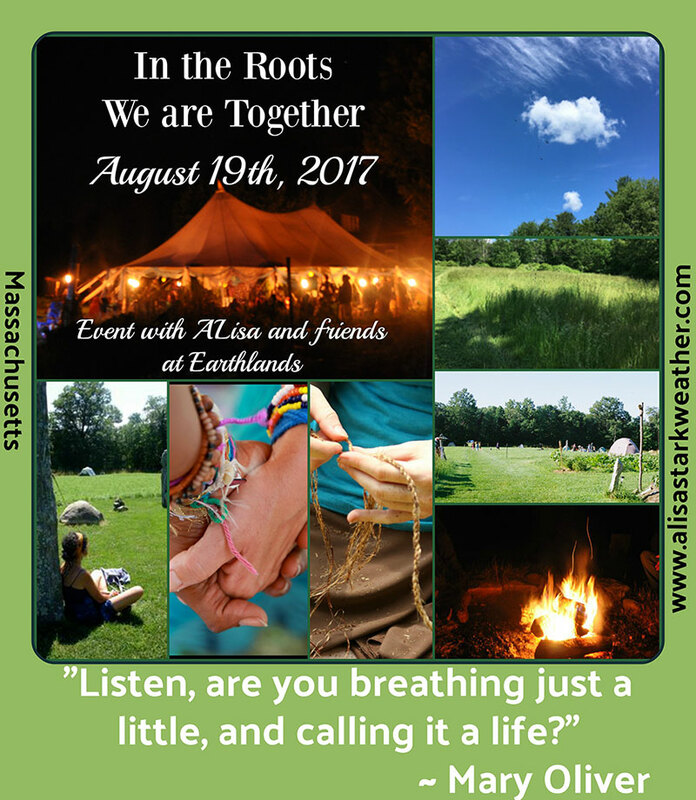 ), we are holding another magical event to meet our hunger for this land and our community roots. It has been quite a year and we certainly need each other! Welcome to a day and night long deep dive together on the many acres of Earthlands ~ In the Roots We are Together. Prepare for this time to be soulfully nourishing, purposeful and deeply moving. We are going to share wisdom, ceremony, song, story, healing, upliftment and courage for what is here among us. 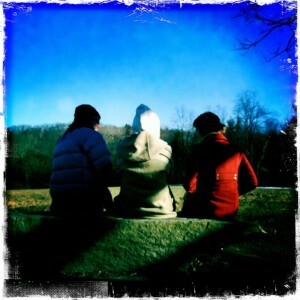 No matter whether 50 or 100 of us show up, we are going to consciously participate in collective healing work. This is as impactful as our personal work but will address what we are all going through together and how to rise with each other to address the inner and outer challenges of our times. The day will be organized around setting a solid and sacred container, using tools, skills, ceremonial space to collectively experience and express what is present for us and to weave our multiple community roots in for what is present in our hearts, minds, spirits, bodies and souls. I am envisioning three creative ceremonies during our time that will draw on 33 years of my engagement with women’s leadership and transformational experiences. We will also share in council and the co-creation of our fire circle. Please bring specifically two rattles. And if you have any drums, instruments or poi feel free to share those as well. Some of the evening we will consciously foster a trance-like space to receive what is here from us from a different perspective than words. Also please bring with you any flowers, herbs or petals from your garden that we will make a plant bath with. A bring list will be available as to what to pack. Laney Goodman will be attending by evening with her drums and some other women leaders TBA in the day who will hold the ground with me as guardians. You are all invited to bring your gifts with you as well as I am so sure we will be in amazing company together. We will come to know some of the mystery of what will evolve when we actually come together and see what magic, concerns and beauty we bring in when we show up to be together in this powerful way. If you have been to Earthlands then you know how the beauty of the land alone will meet your heart and desire for the wild. If you have never been here, both the community of women and the land is sure to move us deep. And this is the theme of our time together ~ the “us’. Not the U.S. btw. The “us”. Those of us who love this life, the earth, the plants, the beauty, the wild, the stories that teach, the drum, the heartbeat, the responsibility of our life as changemakers, women leaders, creatives and people with courageous hearts committed to doing our own work in order to shift the overculture we are effected by. Sometimes this is pure beauty and inspiration and sometimes it is plain hard work to do our work. To have company, to do this together, to forge new pathways where trust has been broken and lost, to recommit to what is most important with the life and time we are given…. well, these things to some of us, mean the world to us. Please note these things. This is not DOE (next year ~2018). This will be a deep container so please be respectful of those intentions. This is not a festival. This is not a place for drugs and alcohol. This is a place for standing for ourselves and each other, for our creativity, bright spirits and needed prayers. This is a time to build and deepen in community. This is a space where the land will hold us so that we leave here scented and caressed by the earth mother herself. This is a place for you to lean in and trust what can be here if you are called to show up. May you find your way to us and share what will be. Every woman attending is asked to register for this event either by mail or by the registration links shared below as soon as you can to be sure our cook can gauge numbers to provide meals for. Please no later than August 14th and stay motivated in this short registration period to anchor the vision with us. There is some room for multiple options of how to participate and the length you are with us on the land. The main event takes place from 9am until after our fire circle ceremony late into the evening. Vegetarian with vegan and gluten free options of lunch and dinner will be provided. You can choose to come to the event itself or to come earlier on Friday to camp or stay in the lodge and to also stay over on Saturday evening. Check out will be 10am on Sunday if you stayed over and if you want to make a weekend out of it, there is another separate event beginning later Sunday morning that Katrina Coravos is organizing with the grandmothers, women’s leadership council and the Sisterhood of the Staffs. Young woman who are teens are welcome to register with you if it is their true desire to be here with us too. If you are bringing children younger, please know that this may not be the emotional space for young ones although being on the land can be wonderful if you don’t mind some isolation that can happen when away from group space. Everyone also has permission to attend the sessions that will be ongoing through the day at will so there can be space to talk, walk, connect and be nurtured by the landscape. We will raise up at least one large tent if not more (depending on registration) and the lodge will be open for those who do not choose to camp if you are staying for overnights. We will have an opening circle for those coming on Friday evening. Please do not arrive before 3pm. All of your gear needs to be able to be transported in and out of the site. The road is a rugged dirt road with a field parking lot. There is no public transportation to the site other than an Uber or taxi. Trains and buses come into Amherst, Massachusetts or Fitchburg, Ma. The site is in Petersham, Massachusetts. I am fairly new to using Paypal for an event. There is no auto-responder with a confirmation letter that comes like what happens with DOE. So please know you have made payment and that close to the event in August you will receive a letter with directions, what to bring, schedule, etc. I will also post a letter here around that time too so it will be on the website too. Sometimes for many days, I am off grid and not available to answer questions, so please be patient about that. What I am hoping for is ease in the process. There are only two meals offered ~ Saturday lunch and Saturday dinner. If you camp on Friday or you stay over, breakfasts are up to you. You can bring in small coolers and there are stoves for hot water up at the lodge. Coffee, tea will be up to you for those who get caffeine headaches. Bringing your gear in will be up to you though for some who need to, you can have a drop off place and then go back and park. You can choose to come only for the day and night without any staying over. If you stay in the lodge we have thirty beds and this is what Earthlands charges (minus some PP fees). You can decide if you are staying both Friday or Saturday night or one of the evenings. The price for camping remains the same regardless for this event. See note about children above. The sooner you register, the easier we will know what to do about ordering food. If you have a strict diet with many restrictions we ask you bring food to augment what we are offering as we will not be able to make special diets. As written it is vegetarian with vegan and gluten free options. If you do not want to use Paypal, simply send a check in the mail here and make it out to She Loves Life. No one is registered until you actually register. Registering makes it happen and as the organizer, makes things stay sane! Thank you. The less communications needed beforehand the better so please do your best with figuring and what I am writing. Cancellations can be made minus any Paypal fees up until August 11th. Please note however that registration is non-refundable after midnight August 12th. You can sell your spot if you give the person’s name to us in advance. There is drinkable water here. There are camping spaces when you bring your tents in the woods and fields. There is a rustic lodge without electricity (some limited solar power) where there are bunk beds and beds on floors. There is running water for some showering. Earthlands is off the grid. Do bring rain gear. There will be tents. Yes, ticks and mosquitoes do live here. Plan accordingly with repellents. Do bring flashlights! As for Sunday’s event, I will put some information here as I am given. It is a separate event that will be made known to you ~ the Sisterhood of the Staffs. For this event, check out from camping and lodge is 10am. Arrival on the land Friday is 3pm or later. 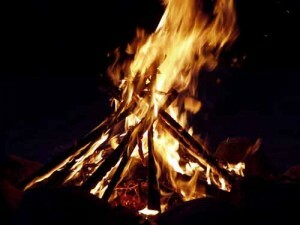 An opening circle by the fire will take place on Friday evening at 8pm. I look forward to being together on the land this summer. Please bring good weather. Sun or rain, we will be together. If you choose to stay over, please know that on Sunday, August 20th there is a separate event taking place at Earthlands that you may want to participate in. Meet with Katrina Coravos and grandmothers for a time about women’s leadership and the Sisterhood of the Staff. This will be held from 10:30am to 5pm with a 20-50 donation to attend. You can contact Katrina who is organizing Sunday’s event at dreamingavalon@yahoo.com for details on how to rsvp and take part.